"The American Bottom 45" is a daily show on The Retro Attic that focuses on neglected records from the 50's through the 80's - minor charters that peaked between 41 and 100, bubbling under/looking ahead entries that peaked between 101 and 150, non-charters, and even occasional records that were only hits in Canada, the UK, and Australia. 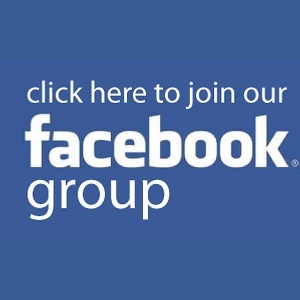 If this sounds cool to you, then feel free to join our Facebook group at http://facebook.com/groups/theamericanbottom45 and request your favorite minor charter! The first of the two daily shows airs tomorrow at 1 PM eastern, immediately after a new edition of "The Retro Attic Request Hour." It's time for another "Guess The Mystery Oldie" contest here on The Retro Attic! Visit our webpage at http://retroatticrareoldiesradio.com and look for the "stack of 45s" picture just below our Google calendar. Click on the picture and you will then hear a 6 second clip of our Mystery Oldie. Be the first person to correctly guess the artist and song title, and you will then get to program our next "Retro Attic Request Hour" sometime next week! You can submit your guess through our webpage's live chat feature or through our Facebook groups(search for The Retro Attic or The American Bottom 45). This posting is spread out among several related Facebook groups, so who knows, this could be a photo finish! Or perhaps not...this is one of those top 40 oldies that rarely gets played these days(if ever)! Good luck to you! There will also be a new Guess The Mystery Oldie contest this afternoon; details will be coming soon! 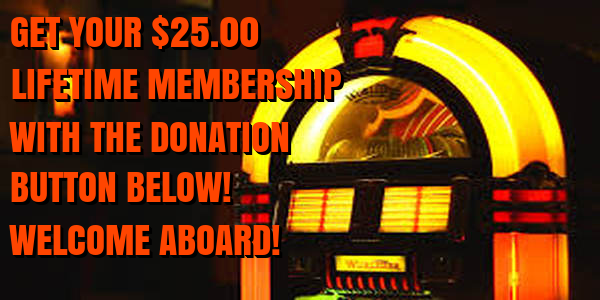 Join our Facebook group at http://facebook.com/groups/retroatticrareoldiesradio and let us know what forgotten top 40 hits from the 50's through the 80's you would like to hear once again! 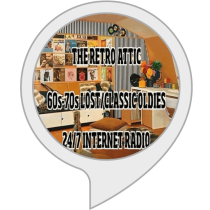 NEW ADDS FOR 6/4 AND THE NEXT "RETRO ATTIC REQUEST HOUR"
The next "Retro Attic Request Hour" will be coming on Monday from noon to 1 PM eastern, and the tracks were selected by Randall from Nevada, our latest "Guess The Mystery Oldie" contest winner. He correctly guessed ONJ's "Something Better To Do" from 1975. You will hear plenty of cool 60's and 70's tracks with nothing from the disco era and one exception...an 80's novelty tune. If you can't catch the show on Monday, then it will be available on Soundcloud for a week; check our webpage on Monday for more details and a link. The first show for the upcoming "American Bottom 45" is coming along nicely; I think it's safe to say that on Monday 6/22, there will be around 90 lost oldies to be heard! Join AB45's Facebook group at http://facebook.com/groups/theamericanbottom45 and go to http://retroatticrareoldiesradio.com for Monday's request hour and great, seldom-heard oldies in general! "GUESS THE MYSTERY OLDIE" - FIRST ONE IS STILL UNSOLVED! Nobody has correctly guessed The Retro Attic's current mystery oldie yet. As a reminder, if you're the first person to get it right, then you will get to program my next "Retro Attic Request Hour!" 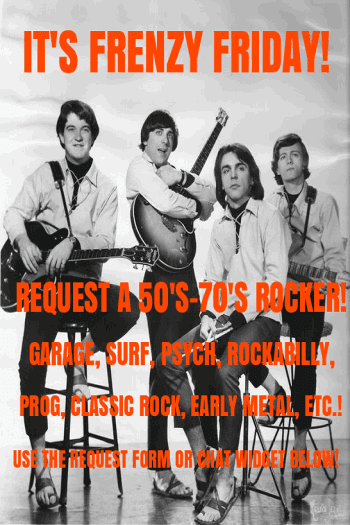 All you need to do is visit us at http://retroatticrareoldiesradio.com and click on the "Stack Of 45s" picture just below the "Guess The Mystery Oldie" sidebar. You will then be taken to a 7 second Soundcloud clip. If you know it(artist and song title, please), then contact me through the webpage's live chat feature or contact form or through here on Facebook! 1. This single peaked at #46 in the mid 1960's. The band in question had a bigger hit that sounded a lot like a legendary group. 2. If I had to put a label on this mystery oldie, then I would say it's definitely a "Challenge!" Hope this helps! Good luck to you and I'll look forward to the winner's request list! 1985: Animotion/Billy Ocean/Ratt/Boy Meets Girl/Al Corley(lost oldie). 1987: Restless Heart/Simply Red/Sammy Hagar/The Barbusters/Frozen Ghost(lost oldie). 1988: Johnny Hates Jazz/Denise Lopez/Dan Reed Network/Judson Spence/The Alarm(lost oldie). As a better explanation, each year block contains 4 top 40 hits(mainly concentrating on ones that you're not likely to hear as much anymore) and 1 "lost oldie," which can be one that peaked between 41 and 100, one that only bubbled under/looked ahead, one that didn't chart at all, or one that was only a hit outside of the U.S.
Request your favorite 80's tune(or one from '57-'79) now at http://retroatticrareoldiesradio.com. It is very easy to do through our webpage's live chat feature. Make it a challenging request! Let The Retro Attic be your virtual DJ at your next oldies party or high school reunion! Please contact me for more details! And as usual, the lost oldie in each block will contain some useful(and some might say useless) info from me! I have decided that the first American Bottom 45 show coming next month will be a special 2 hour show dedicated to nothing but minor charters and non-charters from 1983. So if you have a favorite non-top 40 oldie or an obscure MTV favorite from 1983 that you would like included in the show, then please drop me a suggestion either through Facebook or at my site of http://retroatticrareoldiesradio.com. Don't be afraid to try, especially considering that '83 holds a special place in my musical heart! We are on Itunes Radio(Golden Oldies), Blackberry World, Google Play, Windows Phone, Tunein.com and many of the major internet radio directories. Eventually, each day's programming will be entirely different and you will have to wait for nearly a week and a half before hearing a block get repeated. This vision takes time to build, but in the end, it will really be worth it!